8-Pack Bus Only Spring Promotion!!! Are you as pumped for Spring Skiing as we are??! Well in honor of the extended Spring Skiing, for the first time ever we are offering up FREE RIDES! Purchase next Seasons' Bus Only 8-Pack NOW and get the rest of this seasons' bus rides for FREE! 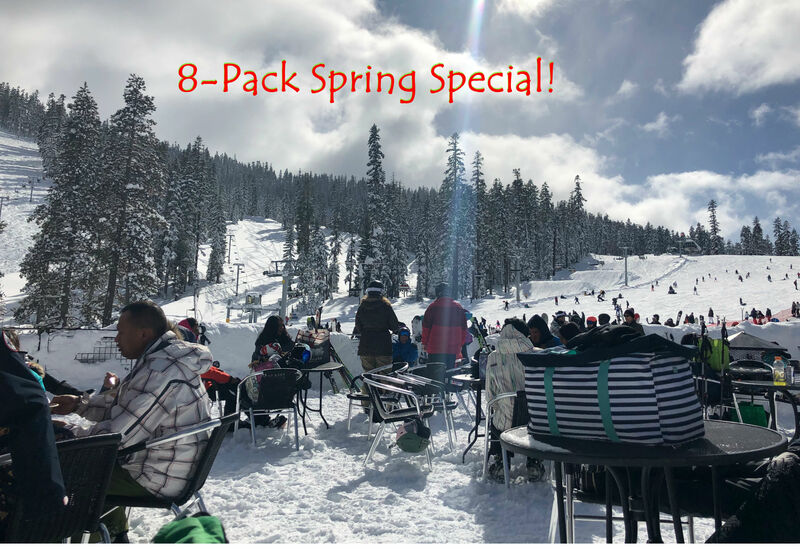 Yes, you heard that right, simply get in touch with us at amanda@tahoeskitrips.net and get your 19'-20' Bus Only 8-Pack and not only will you get our lowest price ever at $520, but you will also get to enjoy the rest of this Spring Season on us!!! Some of you are new to TST, so what is an 8-Pack you ask? You get reserved Seating in the front of the Bus.